It doesn’t take a self-proclaimed art aficionado to appreciate the beauty and complexity of a painting, sculpture, or blown glass art piece. However, to gain knowledge of an artist’s craft—from its inspiring inception to the creative process and on to the finished project—is another form of respect entirely. If you’ve ever watched a documentary or seen it in action, you’ll agree that glassblowing is a magnificent form of art. Luckily for Tucson residents and visitors, there is no shortage of galleries in which such beautiful works are featured. 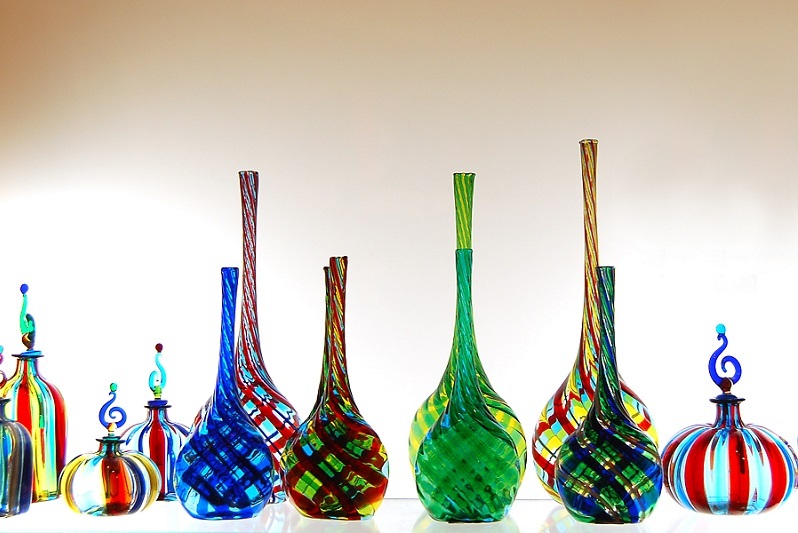 Read on for more information on what Tucson has to offer its blown glass art lovers. Obsidian Gallery—Although this gallery shut its physical doors last May, it is still deserving of recognition for its near-thirty year contribution to the contemporary art scene of downtown Tucson. Find functional glass vases for sale online along with vibrant sculptures sure to add pops of color and thoughtful conversation to any space. Philabaum Glass Gallery & Studio—The recipient of several awards including Tucson Guide’s “Best Of” from 2009-2011, Tom Philabaum’s gallery is a must-see for anyone fascinated by the art of glassblowing. Here you’ll find everything from a funky mythological creature created by Italian master blower, Lucio Bubacco, to glass earrings made by dichroic jeweler, Susan Pratt-Smith. Philabaum’s is also a wholesaler and manufacturer of corporate awards. Visit the gallery from now until April 25, 2015, for its “Glass Reimagined” exhibition. Tip: call ahead to inquire about live in-studio glassblowing dates and times. The Sonoran Glass Art Academy—Okay, this isn’t a gallery, but it should definitely be a mandatory stop on your daily tour for all things glass. Here, you’ll find affordable courses open to the public, one-on-one studio sessions, seminars from guest artists—they’ve even hosted the popular BYOB style meet-up, “Shake Your Glass.” Beginners will do well to find a “Hot Shop” course online that focuses on crafting colorful bowls, vases and paperweights. While not an all-inclusive list, these Tucson studios and galleries are a great start to a stimulating weekend of glass art exhibitions and, if it’s your thing, a little creative experimentation. The origin of blown glass art can be traced back to 37 BC and was historically prevalent all the way through the Renaissance. Perhaps knowing the roots of this delicate, meticulous skill brings a deeper appreciation of the final art form. The only real way to find out is to browse Tucson’s glass blown treasures for yourself.